We offer the widest possible selection of models from best projector manufacturers ranging from entry level to meeting room/classroom to conference/auditorium use as well as the very latest high definition home cinema models. 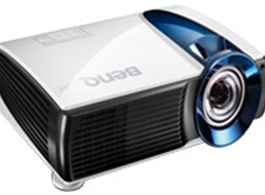 Our projectors resolution ranges from XGA(1024×780) to HD(1080p) with 2000 lumens to 5,000 lumens. We do not just deliver and leave you to work it out yourselves. On bigger events we are more than happy to stay and run the equipment if you wish. There are no extra cost surprises, what you are quoted over the phone or email is the price you pay !! All Deliveries are made by a technician. So if there was to be a problem we would be on hand. LCD Projector On Hire is provided by our company Majestic Audio Visuals. We are pleased to introduce ourselves as the most preferred provider of LCD Projector On Hire. As a leader in this field – our LCD Projector are affordable and best quality. We are also a one of the leading exporters of LCD Projector On Hire from India. Majestic Audio Visuals has been experienced provider of LCD Projector on Hire since 1970. We provide all kind of Audio Visual Equipments and LCD Projector On Hire with best quality and as per client requirement.